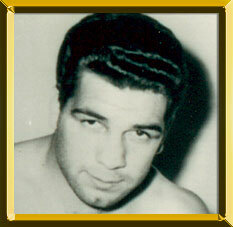 Born in Trieste, Italy on April 19, 1929, Loi is one of the most popular fighters Italy has ever produced. He turned pro in 1948 and would only taste defeat three times in a 14-year career. He captured the Italian lightweight title in 1951. He lost for the first time in 1952 when Jorgen Johansen won a 15-round bout for the European (EBU) lightweight belt. Loi regained the title with a 15-round points win in the rematch. The classy Italian would defend the European crown eight times over the next four years. Unable to secure a world lightweight title go, Loi moved up to welterweight to win the EBU title in 1959. In 1960, Loi engaged in the first of three bouts with Carlos Ortiz for the recently resurrected world junior welterweight championship. Ortiz won a hard-fought decision in the first bout on June 15, 1960 in San Francisco. Loi turned the tables in the September rematch before 65,000 fans in Milan when he took the title back. Loi successfully defended against Ortiz in the rubber match, again held in Milan. Loi also boxed a trilogy with the crafty Eddie Perkins. Their first bout, held in Milan with Loi's title on the line, ended in a draw. Loi next lost and regained the junior welterweight title in bouts with Perkins in 1962. After regaining the title Loi, who is regarded as a fine all-around boxer with a tremendous left hand, announced his retirement on January 23, 1963 with a 115-3-8 (26 KOs) record.